A “stripped-down” estrogen molecule developed by a trio of researchers from three Milwaukee-area universities has proven effective in improving memory in a model system for treating dementia in post-menopausal women. 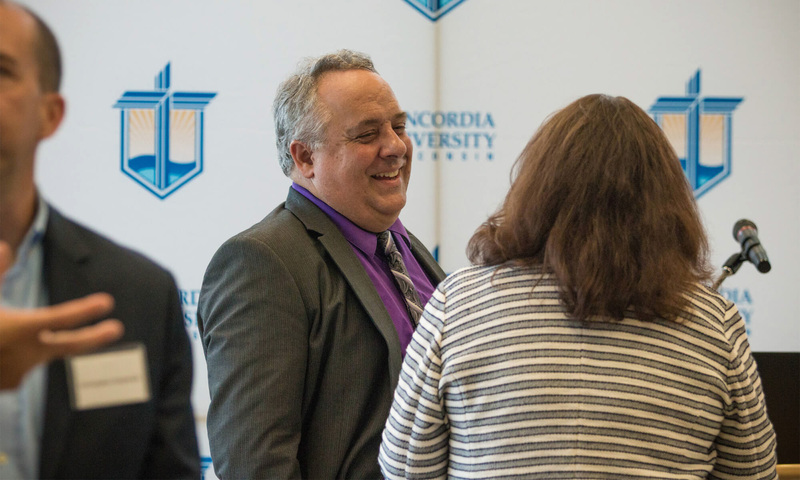 Last week the National Institutes of Health announced the renewal of a three-year grant awarded to the lead researcher of the project, Daniel Sem of Concordia University Wisconsin. Sem, along with Karyn Frick of the University of Wisconsin-Milwaukee and William Donaldson of Marquette University, co-authored two articles published earlier this year that describe the new molecule, and over the summer the team of researchers formed a startup company, Estrigenix Therapeutics, Inc., which will be devoted to developing drugs that affect estrogen biology. Estrogens act throughout the body by binding to receptor proteins, the most prominent of which are estrogen receptors alpha and beta. Most of the detrimental side effects associated with hormone replacement therapy in menopausal women are due to estrogens binding to estrogen receptor alpha. The new molecule is a smaller version of a particular type of estrogen called estradiol that selectively binds to estrogen receptor beta. In a series of studies, Frick’s lab showed that administration of the new molecule, which was developed in Donaldson’s lab, enhances memory formation in a mouse model of menopause. Although the trio’s research is promising, there is a long road ahead to developing a consumer-friendly version of the drug to market. Sem estimates it will take another $2 million to get the compound into human clinical trials. In the meantime, over the summer the team of researchers obtained a patent for its drug lead molecule, and hopes to license it from their respective universities to Estrigenix. Estrigenix is Concordia’s second spin-out company, after Microlitics LLC, and the second patent the university has that is issued. This is Sem’s third NIH grant received as a principal investigator since joining Concordia from Marquette in 2010.